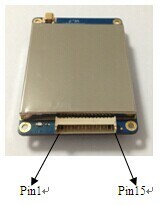 CF-MU902 is a high performance UHF RFID Reader Module. It is designed upon fully self-intellectual property. Based on proprietary efficient digital signal processing algorithm, it supports fast tag read/write operation with high identification rate. It can be widely applied in many RFID application systems such as logistics, access control, attendance system, anti-counterfeit and industrial production process control system. 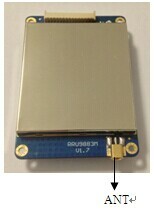 Low level effective external reset input with internal pull-up to 3.3V. 2. Please refer to CF-MU902M user’s manual for detailed protocol description.